Purchasing a home is an exciting process, but it can be very stressful and chaotic. Our goal is to help relieve as much stress and confusion as possible and to help you through the entire buying process. In this section, you will find some general information regarding this process. If you have any questions, please ask! Click here for a printable flow chart that takes you step-by-step through the home buying process! Buying a home is a complicated business. 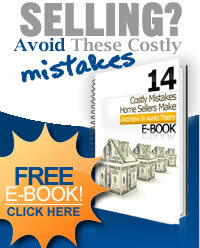 Mistakes could literally cost you thousands of dollars or the missed opportunity of owning the home of your dreams. 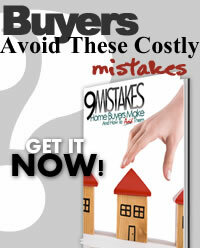 As a buyer, you are always in competition with all of the other buyers who are looking to buy your dream home. There is a vast difference in the level of expertise and quality of service provided by real estate licensees. Give yourself the advantage of working with the very best – work with The Kristan Cole Network and get these value-added services that will make a big difference for you! Highly-trained buyer’s specialists who will focus on nothing else but finding the perfect home for you. They are not taken out of focus like most other real estate licensees by listing properties, making brochures, putting up signs, writing ads, and following up on homes under contract. (We have other Specialists who do these things.) Their job is to find you the right home, period. A computerized tracking system with our Multiple Listing Service (MLS) that instantly alerts us about properties coming on the market that meet your needs. Through our highly-sophisticated computer search system, we will regularly alert you to properties that meet your requirements as they hit the market and before most other real estate licensees and buyers even know about them. The benefit to you is that you know about new listings first. The largest inventory of homes for sale. Kristan lists more homes than any other REALTOR® in the Valley. The benefit to you is you will know about any new listings first before they even hit the Multiple Listing Service (MLS) or the Internet, and you get to see the homes first! Expert negotiation skills. The Kristan Cole Network has helped more families move in the Matanuska Valley than any other real estate licensee - by far. This level of success is a testimonial to the expertise and negotiating skills that give clients of The Kristan Cole Network a major advantage over buyers working with other licensees. We will get you the best home with the best possible terms. A highly-trained team of specialists each working together as a team to make sure that all of the important details are handled perfectly, and all at no cost to you! Most of our team members are licensed REALTORS®. They can answer all of your real estate questions. Better yet, there is someone to answer the phone when you call – up until 5:00 p.m.; you won’t get voicemail. Having our team available to you from 8:00 a.m. to 5:00 p.m. means your home-buying process will be smoother!